A city of charm and culter — Chiang Mai is truly one place in Thailand you must visit, and our car rental deals can't be beat! Things To Do & See in Chiang Mai With so much to do you'll need a guide! Chiang Mai, which is sometimes spelled “Chiangmai” or “Chiengmai,” is the most culturally significant and largest city in northern Thailand. Located 700 kilometers north of Bangkok and set amid the highest mountains in the country, this city is indeed one of Thailand’s most precious of jewels. For those considering a road trip traversing Thailand from one end to another, Chiang Mai city is the perfect place to pick up your rent-a-car to start the journey. CarHirePhuket.com’s super low Chiang Mai rental rates and unbeatable selection of cars make this pick-up point much preferred over all others. Start your search now to find cheap Chaing Mai car deals from the top Thai rental companies — you’ll find our service next to none! Chiang Mai is a beautiful city that offers the visitor a choice of modern lifestyles as well as one of yesteryear. It is also a city of progressive social changes and of education centers for all types of skills, to include Thai cooking and Thai massage. Inhabitants of the city mostly speak Kham Muang (Lanna, or northern Thai) while the more common Central Thai is used in schools and businesses. However, due to Chiang Mai’s growing business and educational class, you will find many folks and establishments fluent in English. The city emblem of Chiang Mai is a chedi (stupa) at the center, and there are clouds below that symbolize the area’s moderate climate. In Chiang Mai, temperature and rainfall are more bearable then in the most southern parts of the country. 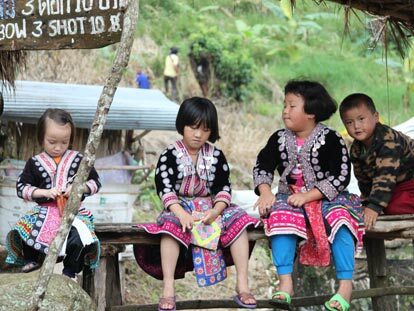 Hill-tribe Trekking: nearby to Chiang Mai you will find the villages of the Akha, Hmong, Karen, and Lisu tribes where one can arrange for a tour into a world that time has mostly forgotten. Free Weekly Guided Hikes: are offered by the Chiang Mai Hiking Club that will walk you deep into the Doi Pui Suthep National Park, and this club has also posted a map of the hiking trails on their web site, just in case you want to go at it alone. 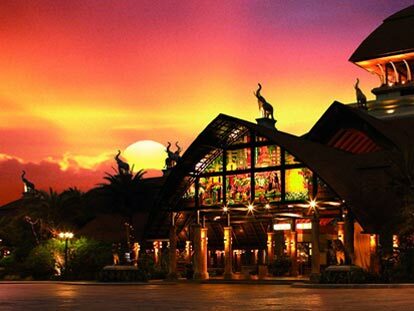 Chiang Mai Night Safari: was established as an evening and late night attraction and is one of only three other nocturnal nature theme parks in the world. Funded by the Thai Government, this safari is twice as large as the one in Singapore, and is the perfect place to see such night predators as tiger, lion, and the Asiatic black bear. There are many great sites offering information about Chiang Mai: LonelyPlanet.com, 1Stop Chaing Mai travel and hotel guide, and the offical Tourism Thailand site. 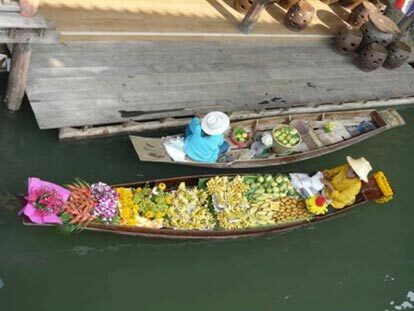 These festivals are held along the Nan River, and during which local food and products are easily had at great prices. Also highlighted are the regattas of long boats that traverse the river in celebration.